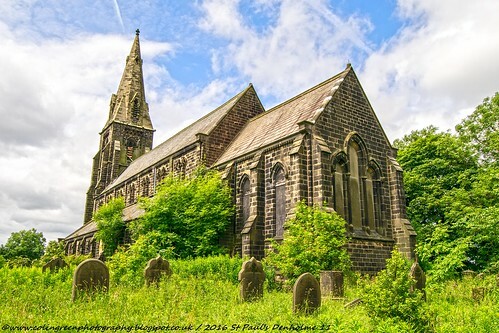 Colin Green Photography: St Paul's Church, Denholme, West Yorkshire. 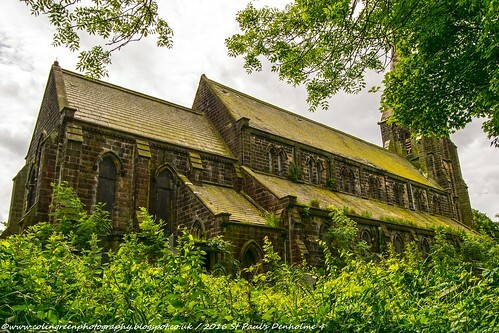 St Paul's Church, Denholme, West Yorkshire. 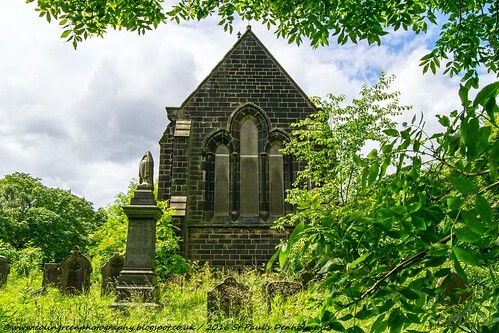 St Paul's Church is a seemingly abandoned but definitely redundant church overlooking the town of Denholme, West Yorkshire. It was granted Grade II listed status on the 7th March 1985 and was in use from opening in 1846 until a farewell service was held on the 5 September 1999 in the new graveyard, The last service inside the actual church was June 1997 when it was closed due to structural and safety reasons. There is no legal access in to the building now so my pictures were taken around the outside, although I would have loved to have had access inside the structure, there are pictures available online of the interior. My pictures were taken on July 12 2016 using a Nikon d3300 camera. There are a total of 17 pictures with 3 exclusive to Clickasnap via the links below. The following 3 links take you to the 3 pictures available to view on Clickasnap. Each view of 5 to 10 seconds helps support my photography and blog. They all open in another window. All 3 images can currently only be seen on Clickasnap, the world's largest free to view, paid per view photo sharing site. The next 4 pictures are taken from the Flickr album.